One could be forgiven for mistaking Bill Kristol with the faux-conservative class of one-time Republicans who seem to be on an endless media tour fawning outrage at Trump’s most recent tweet. ….the Republican tradition is well worth defending. To have been right about the Cold War, right about the need to revive constitutionalism, right about resistance to “progressivism” in all of its illiberal modes—for a party that at its best embraced much of what was admirable about both classical liberalism and classical conservatism—is no small thing. And most Republican members of Congress remain alive to that tradition, even as they (temporarily?) succumb to the pressure to accommodate Donald Trump. But in Ann Arbor, Kristol couldn’t seem to find the heart to defend conservatism. Speaking opposite Neera Tanden, CEO of the left-wing Center for American Progress, he detailed at length his perspectives on a variety of policy issues, but did not embrace a clear conservative approach on any of them. Instead, he either adopted Ms. Tanden’s position wholeheartedly or tacked ever so slightly to the right of the progressive establishment. On immigration, he lamented the failure of the left and right to reach a compromise under the Bush administration. Kristol claimed that Kavanaugh’s nomination to the Supreme Court ought to have been withdrawn, reasoning that the Justice couldn’t possibly remain impartial. This charge quickly became a favorite of Democratic Senators during the confirmation process, and Kavanaugh later addressed it directly in the Wall Street Journal. Kristol later toyed with the idea of embracing state-mandated censorship in wake of fake news, complaining that even highly educated people fall for fake news and propaganda schemes. He even entertained Ms. Tanden’s favorite conspiracy theory of the moment: that Trump appointed Kavanaugh because he believes that Kavanaugh’s jurisprudence on executive privilege will disrupt Robert Mueller’s probe into the President’s 2016 election campaign. Bill Kristol certainly has myriad reasons to play towards the center. In May, Kristol spoke at length about the need for a moderate challenger to Trump in the 2020 primary. In 2016 he played a key role in recruiting Evan McMullin to run as an independent, conservative alternative to Trump. Some have also speculated that he might personally challenge Trump in 2020. Whether he plans to run himself or to recruit another moderate Republican to challenge Trump, embracing moderate rhetoric will help attract support from independents disaffected with the states of both major parties. Nonetheless, failing to faithfully represent conservatism — which Kristol doesn’t hesitate to vigorously defend on other platforms — enables progressives to misrepresent and bully conservatives out of the mainstream. By weakening his conservative edge and failing to identify the many points of disagreement he certainly has with Ms. Tanden, he fostered the creation of a false image of conservatism in the minds of his mostly liberal audience. Instead of representing vibrant conservative debate in the mainstream, he presents a caricature of conservatism that is only marginally to the right of progressive ideology. The result of this misrepresentation is that the mainstream left now believes that all but the most trite conservative ideals are unacceptable fringe opinions that deserve to be censored rather than carefully examined and subjected to fair and respectful criticism. The pervasiveness of this misguided perspective isn’t only a threat in the abstract. Kevin Williamson was fired from The Atlantic in April for his opposition to abortion. Kristol himself isn’t a stranger to the character assassination enabled by this sort of rhetoric either. 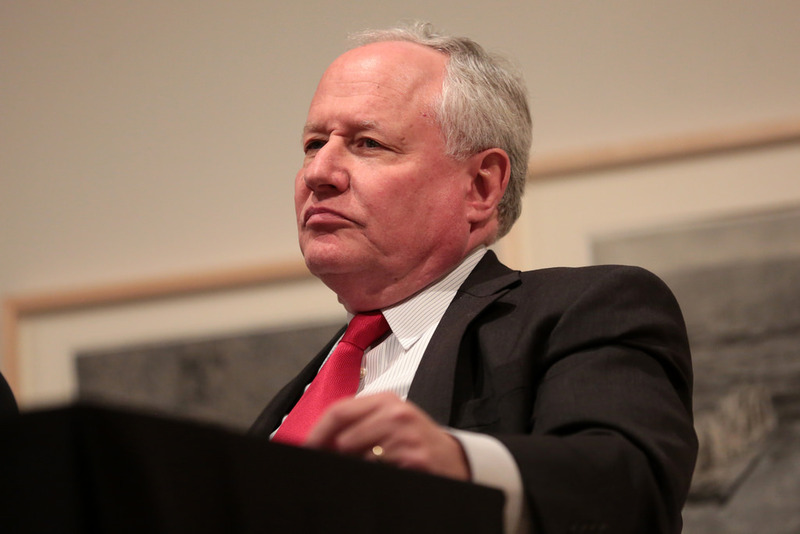 After Kristol was signed to a one-year contract by the New York Times to write a weekly column in 2007, he became a constant target of criticism from the left. Days after he was hired, the Times’ public editor called his hiring “a mistake.” Likely due to this criticism, his contract was not renewed. Now that Kristol has again been embraced by the left in the age of Trump, he should know better. By softening his conservative rhetoric and downplaying the extent of disagreements between conservatives opposed to Trump and the left, he enables the left to purge conservative ideas from the mainstream and further restrains the few conservatives accepted into the mainstream. oh one can definitely question his conservative credentials. Even before trump I didn’t know what he actually stands for.